I agree Chris, I thought it was a very good film but it definitely helped make sense of it by having read the book - some could struggle with the format and flow of the film if they haven't. I can see that many non-hikers may not even consider going to see it under the misapprehension that's it all about hiking, which of course it isn't. Agreed, not read the book but really enjoyable. Film is defintiely about hiking, though not always about the hike. Sound treatment really helps convey author's internal journey. And one of laura dern's best performances as mum. 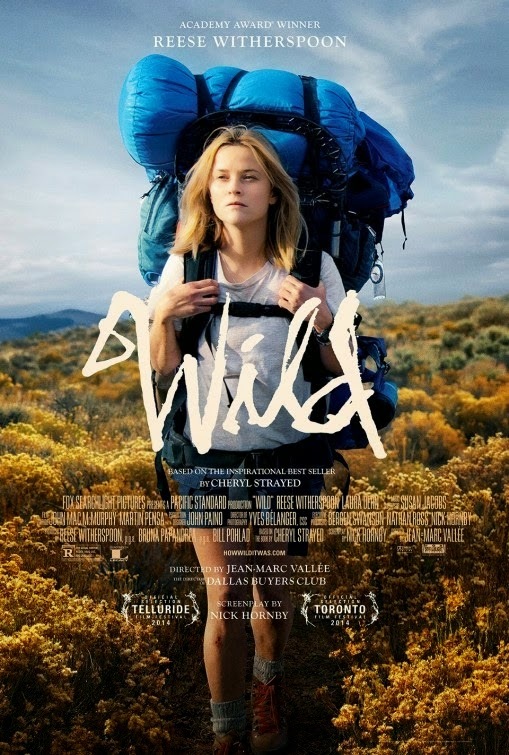 Thanks for the review... Wild is on my radar, but I was slightly apprehensive to go and see it at first as I am always slightly cautious about mainstream outdoor/mountain themed films (anyone for Vertical Limit? ;), thank goodness for films such as Touching The Void and the KMF and other film festivals to see some real quality films. 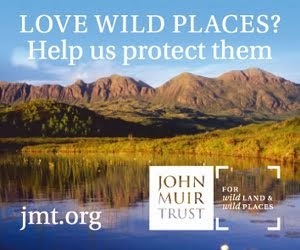 But Wild looks as though it is definitely worth going to see. There was another "rite of passage" hiking film I saw a few years ago, I can't remember the name, featuring a novice walker (played by Pauline Quirk) who reaching middle age (mini mid-life crisis?) decides to walk the Offa's Dyke Path.. OK not the PCT but as with Wild (from what has been said) in the film with Pauline Quirk the hike is not just about the physical journey of A to B. Thanks for the review and comments, I'll go and see Wild soon, if only to see the scenery as the PCT is on "The List". I enjoyed the film (and the book) but what I thought was lacking in the film and where it differed from the book was the growing sense of enjoyment that Cheryl had when walking. In the film, she always looked miserable when walking, which I think was a pity. 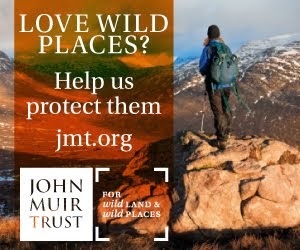 Having said this, I saw it with my daughter, a very urban young woman who gets withdrawal symptoms if she's more than 10 minutes from a coffee shop, and she said that she'd like to try backpacking - so the message can't have been all bad. 'The Way', a 2010 film about walking the camino de Santiago is worth a look. It's a fictional story but certainly watchable. I hadn't even hear of this but will look it out. 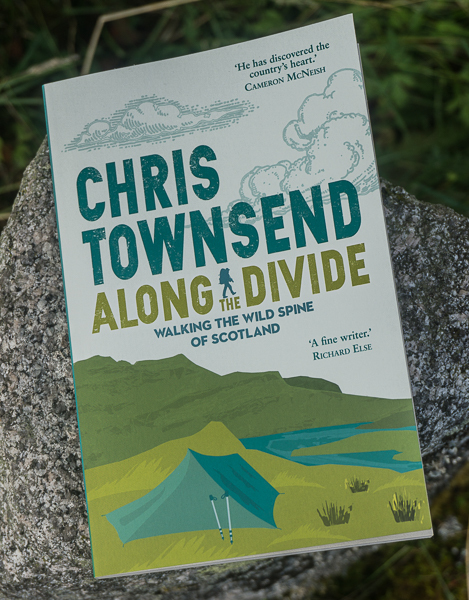 Chris, as an aside, you refer to the mistakes novice long distance hikers make. What, in your view, are the top few mistakes? I guess the first will be taking too much? And then....? Taking too much is certainly the main one. I'd also say choosing the wrong footwear - novices tend to be impressed by big heavy boots (I know I was). Not practising with new equipment - tent pitching, stove lighting. With regard to the Pacific Crest Trail there's also carrying enough water in the desert sections (which I didn't at first). Also, trying to do too much too soon. Rather than dashing off trying to do high mileage days from the start I think it's best to ease into the walk. Higher mileages come as you get fitter. I saw this film the other day and pretty much agree with your comments. Well constructed, with its half present trail half past flashback technique — the two halves linked together very well. And surprisingly subtle too, as you say — not the sentimental, in-your-face 'redemptive' quest movie I'd been expecting. Her trail experiences on the PCT seemed quite authentic to me, but you're a better judge of that than I. What ambushed me the most was how emotionally powerful the film was. Something you didn't mention I was very conscious of in the film was the threatening aspect and attitude of various men along the way from a lone woman's perspective. I found Strayed's /Witherspoon's stubborn resilience admirable. Solitary Walker.. Yes, I too was struck by the implied vulnerability of being a solo female walker from the film. That first encounter with the farmer in the pick up truck goes to show how wrong we can be.. He turned out to be an angel. As a bloke, this sort of thing - vulnerability from strangers, rarely crosses my radar, but Witherspoon's carachter dealt with such instances brilliantly. How is it only 1100 miles? That's how much of the trail she hiked Tony, which is made clear in the book and the film. She hiked from the Mohave Desert to Kennedy Meadows on the southern edge of the High Sierra, skipped the latter due to the snow and went to northern California and walked from there to the Columbia River. Ah,I wondered if she "only" did half. Hoping to watch on Wednesday or Thursday. The movie may not be as convincing as the book in depicting Cheryl's journey toward spiritual fulfillment, but Wild's considerable power is bound up with Reese Witherspoon's performance and what we know about her.